Art historian, translator and writer who has been very well received by Czech readers over the past decade. Her best known novel, Žítkovské bohyně (The Žítková Goddesses), won four Czech awards and has been translated into many languages including German and Polish. She was born in Brno on 31 October 1980. [The Žítková Goddesses] is a fascinating narration. A novel on a great women’s topic of faith in natural forces and incantation, a healing power of hope, but also of solitude, despair, cruelty and vengefulness. 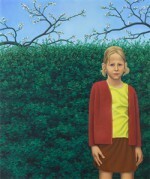 She studied Czech and art history at Masaryk University’s Faculty of Arts in Brno. She has written several specialist publications in the fields of Czech studies (a study of Věra Sládková’s works) as well as art history, Můj otec Kamil Lhoták (My Father Kamil Lhoták), and catalogues for the exhibitions she has curated. 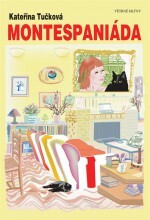 She made her debut in fiction in 2006 with the refreshing novel Montespaniáda (Montespan Contest, Větrné mlýny publishers), where she describes the story of the main character Kari, who is in love with a married man. 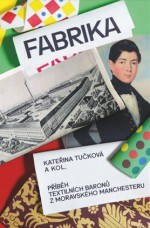 Three years later the publishers Host brought out her novel Vyhnání Gerty Schnirch (The Expulsion of Gerta Schnirch), which was based on real events. At the end of April 1945, German-speaking Brno residents were expelled from their homes and driven inhumanely across Pohořelice towards Austria. Most of the people were women, children and the elderly, and no attempts were made to prove if they had collaborated with fascist Germany. The fictional story of Gerta opened up a long-closed chapter in Brno’s history, as well as in other areas. 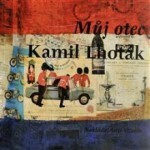 The book has been reprinted several times and won the Jiří Orten Award for young writers. It awakened interest in this tragic and still controversial episode in history, which led to the politically formulated Brno Declaration of Reconciliation in 2015. One year prior to this, HaDivadlo produced a staged adaptation of the book, directed by Marián Amsler. During her work on the book the author walked along the stretch from Brno to Pohořelice with a rucksack and pram in order to gain at least some idea of what those expellees had experienced. 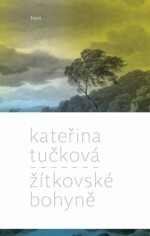 Kateřina Tučková’s second novel, Žítkovské bohyně (The Žítková Goddesses), also goes back in time and is the result of painstaking archival research and personal interviews with contemporaries. This time, however, she used older material and covered the lives of the so-called godesses from the Žítková area of the White Carpathians. Herbalists and healers had long been settled there and faced persecution from the Catholic Church and the Nazis until they were completely wiped out by communist totalitarianism. The novel tells the story of several godesses from the perspective of the main character, Dora, the niece of the last Žítková goddess, Surmena. For The Žítková Godesses Kateřina Tučková was awarded the Josef Škvorecký Award, the Czech Bestseller prize, the readers’ award in the Magnesia Litera competition, and the Czech Book Readers’ Award. The book became the most borrowed book from our libraries by a Czech author in 2013, and by 2014 had sold 100,000 copies. It has been translated into 8 languages including Arabic, German and Polish. Zlín theatre has had an adaptation of the novel in its repertoire since the spring of 2014, and a film adaptation is planned. Tučková also works as a translator and has translated into Czech the Slovak novel Places in the Net by Veronika Šikulová.